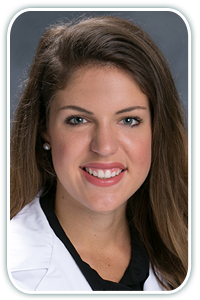 Home >> Providers >> McKenzie Jaax, P.A.-C.
McKenzie Jaax joined North Atlanta Primary Care in 2018 and is currently seeing patients at our East Cobb and Midtown locations. McKenzie was born in Virginia but grew up moving frequently as the daughter of an Air Force pilot. She graduated from the University of South Carolina where she received her Bachelor of Science in Exercise Science. McKenzie continued on to Physician Assistant School at Trevecca Nazarene University in Nashville, TN where she received her Master of Science in Medicine. Specific areas of medical interest include dermatology, women’s health, and diabetes. In her free time McKenzie enjoys reading, trying new restaurants, exercising, and cheering on the South Carolina Gamecocks.